Georg Christoph Wagenseil was born in Vienna in 1715, studied with Johann Joseph Fux and composed works for the imperial court for almost 40 years until his death in 1777. He additionally enjoyed a reputation throughout Europe as a keyboard virtuoso. His largely forgotten compositions include operas, symphonies, concertos, piano works and chamber music. Together with Matthias Georg Monn and the younger Karl Ditters von Dittersdorf, he developed an early form of the classical Viennese style. 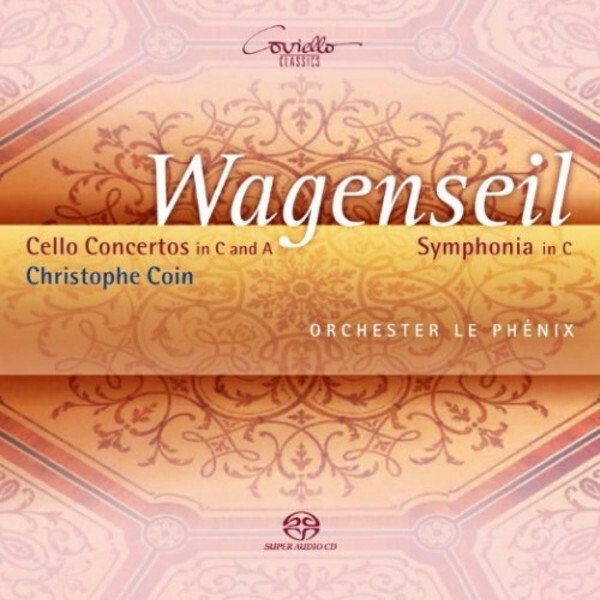 Christophe Coin and the Orchester Le Ph�nix present two cello concertos and a symphony by the composer.